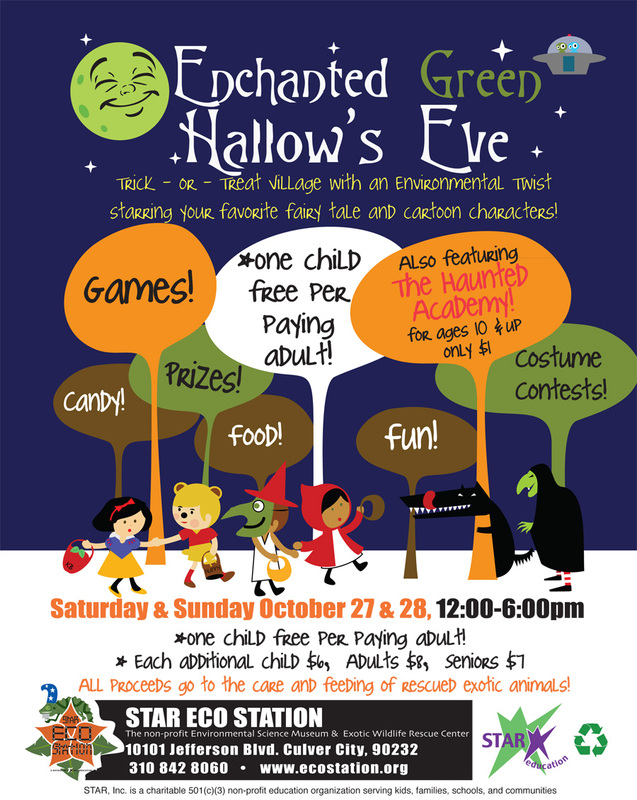 One weekend every Halloween season, the STAR ECO Station transforms into Enchanted Crawley Hallows Eve, a magical palace of trickery, treating and eco storytelling! See fairy tales with an environmental twist. Costume Contests, games, prizes and performances all day. Tickets: $8 for adults; $6 for children; $7 for seniors (65 and over). All proceeds go to support rescued animals. Discounts: One child free for every paying adult. Children in strollers free.